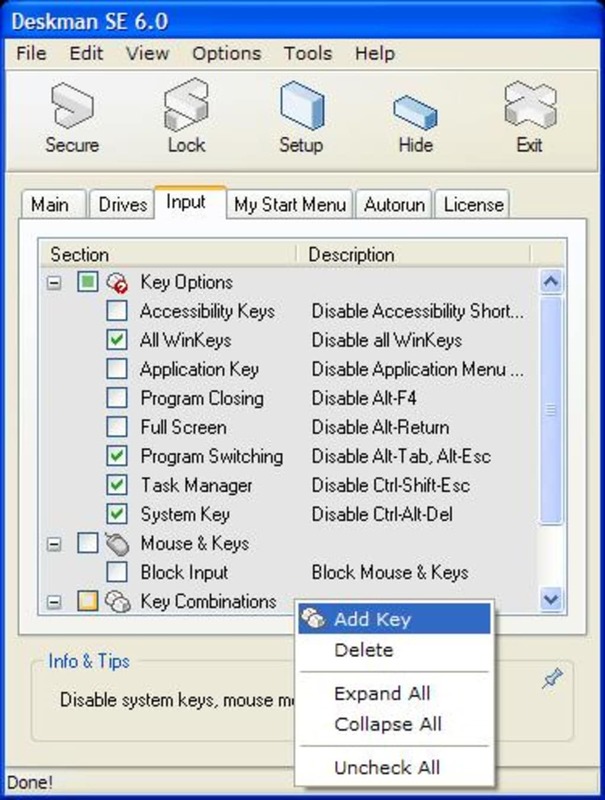 Deskman is a simple tool that assists you in keeping the contents of your computer out of the reach of others. The software offers efficient and secure protection and is very easy to configure and use thanks to its intuitive interface. Not recommended for PC lockdown. 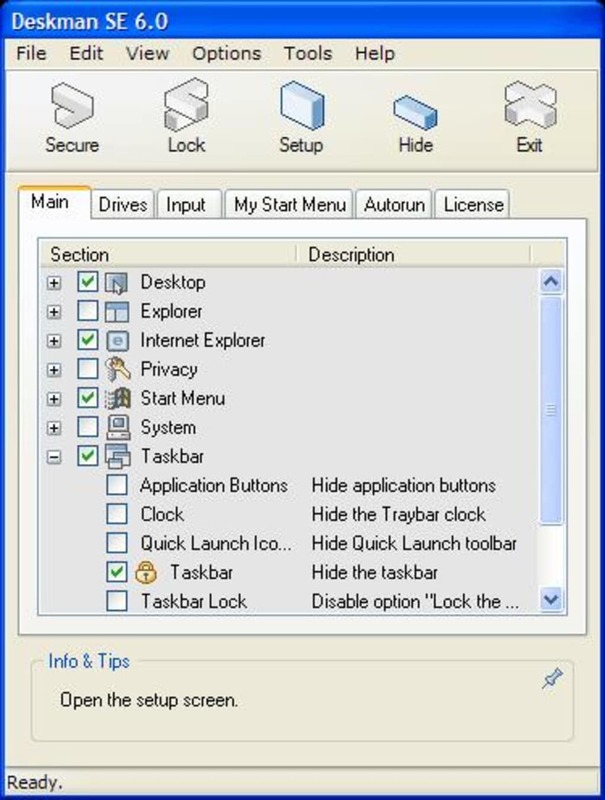 I downloaded Deskman 9 and used its &quot;kiosk&quot; feature to lock down a pc to a single application. The lock down worked just fine, but they leave a back door wide open for hackers - the application has a single, non-AD controlled password, and anybody can walk up to the kiosk and completely disable or reconfigure the security if they know (or guess) the password. Don't even bother downloading this program if you objective is to protect a pc against even the most casual of attacks. Lots of good lock down features. What do you think about Deskman? Do you recommend it? Why?